CEO Igor Sechin says Russian firm is ready to tie-up with American giant ExxonMobil in Iraq. “We will work with anyone who offers good terms, we'll work with ExxonMobil too,” Reuters reported Sechin as saying. Sechin aims to chip away at the Gazprom monopoly, and to double Rosneft’s domestic gas market by 2020, from 9 percent to 19-22 percent, plans made clear at an investor meeting in London on Tuesday. Rosneft expects to produce more than 40 billion cubic metres (bcm) of gas in 2013, over 60 by 2016 and 100 bcm in 2020, half of which will be produced in new projects. 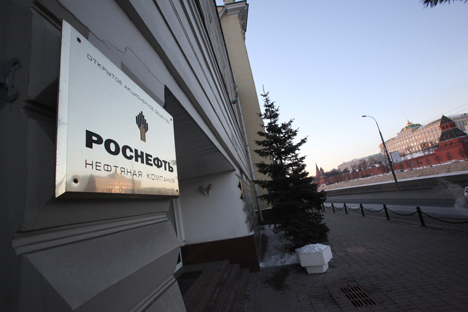 Rosneft will get a 40 percent share and the preliminary license is set for 25 years, and subject to extension. The Venezuelan project will develop 342 kilometres in the Orinoco River basin, one of the richest oil reserves in the world, with an estimated 86.4 billion barrels, according to RIA Novosti.